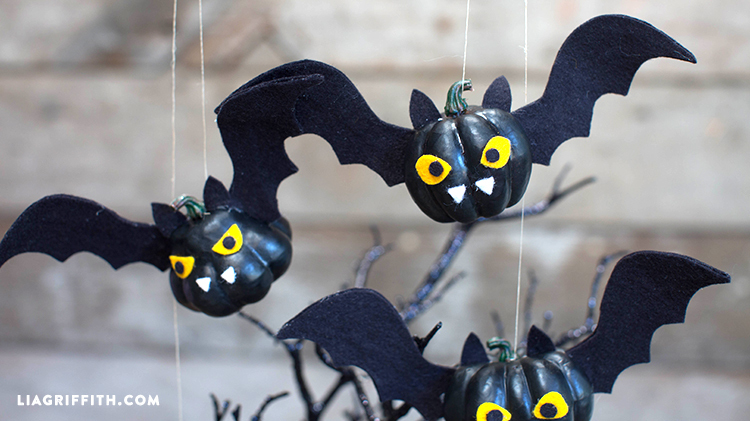 Halloween is a great time to get crafty and this little project is perfect for the kids as well as adults. 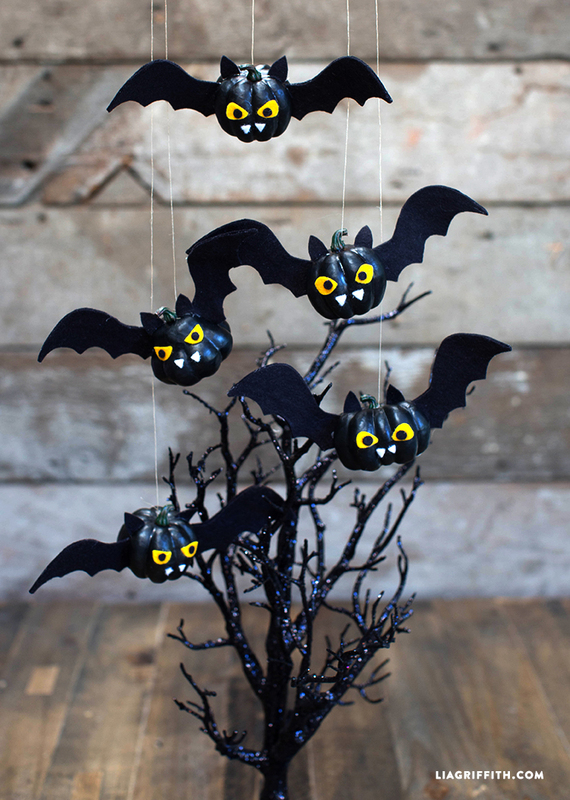 These funny little pumpkin bats have so much personality when you add different shaped eyes and position their features onto the mini pumpkins. We used a foam craft pumpkin that we found at Michaels, but you can also use real pumpkins for this project. If you are using this for a project to make with the kiddos, you can use a clear craft glue rather than a low temp hot glue gun. Simply prop the wings until they dry completely or add a few pins into the foam pumpkin to hold them in place until dry. You can use a simple black, yellow and white felt found at your craft store and any kind of wire will work to make the wings bendable. Download the PDF below for your felt template and plan a pumpkin decorating party!